Entries now closed, thank you. We have done some research amongst our Facebook ‘likers’ asking which holiday destination they’d most like to find a ticket to in their Christmas stocking. We had some very interesting and heartwarming responses, and we have gathered them together to see if we can spot any interesting and popular choices. Here is one of my favourite things to do (a Wordle, created here) where you can copy and paste some text and then an image is created using the words involved. The larger words are ones that are mentioned more frequently. 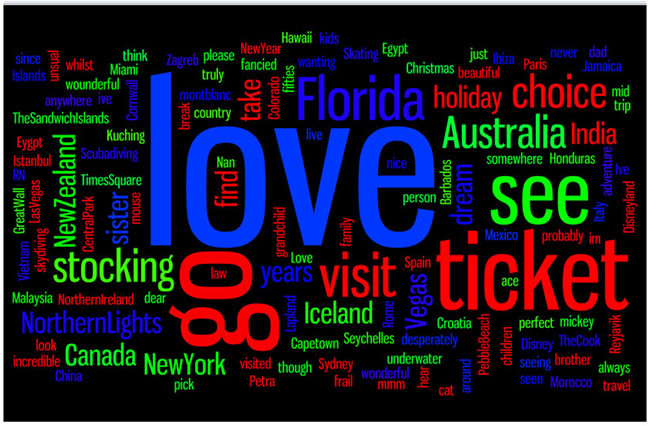 This Wordle was created using the responses to the ‘most-wanted tickets’ scenario. As you can see lots of people would LOVE to go travelling, one person didn’t mind where they went, as long as they went somewhere….. But there were clear favourites where people did stick their neck out and plump for just one dream destination out of the myriad of holiday destinations on offer. I’m not surprised that the Northern Lights did so well, as it is a real natural wonder, that is even more special because it can be so elusive! It is one of those natural phenomena that is impossible to predict when you will see it, so you could still be unlucky and fail to see them at the peak times of September/October and February/March. To find out more about what the Northern Lights are and to maximize your chances of seeing them in all their colourful glory read this guide. If you too are interested in visiting the vibrant and dynamic American destination of Las Vegas, this desert city has lots to offer. There’s obviously the ubiquitous casinos, gambling dens and a myriad of shows to entertain. But it’s also close to the spectacular rock formations of the Grand Canyon, so that could be the location for a daytrip to live long in the memory. Our very own Mark was lucky enough to visit there earlier in the year and he reviewed not only his helicopter tour of the Grand Canyon, but also the shows that he saw. 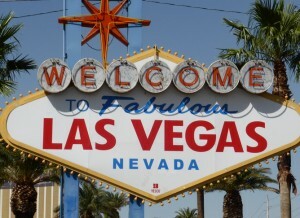 Here is his review of his whirlwind yet action-packed stay in Las Vegas. It is heartening for both Egypt and India that they have come out with such a healthy following in our mini-survey, as both destinations have been subject to negative publicity in previous years. Egypt has been in the news for all of the wrong reasons, as there has been increased criminal activity and terrorist attacks on police and security forces following political unrest. There have also been many violent protests and demonstrations in certain areas of the country, and this has prompted the FCO (Foreign and Commonwealth Office) to issue warnings advising against all travel to parts of the country. India has also had a fair amount of negative publicity as there is a high threat of terrorism throughout the country and public places have been targeted, including those visited by foreigners. The appeal of these countries is enduring, however, and both are still viewed as countries with fascinating cultures, history and architecture. India is also famous for its fabulous cuisine that has influenced cooking all over the world. Egypt boasts the world-famous Nile River and also Red Sea resorts that are popular for beach holidays and diving. Click here for the Lonely Planet guide to India. Click here for the Lonely Planet guide to Egypt. The dream family holiday of Disney World in Florida is the most-coveted trip away for many with children. Disneyland Paris is more attainable for those of us in the UK, but the classic and original park in Florida is still an aspiration for many, to share the Disney magic with their children, and also be pretty much assured of sunshine whilst they are enjoying meeting Mickey Mouse and the rest of the Disney collective on their homesoil. Another bonus is that lots of other family-friendly theme parks are in easy reach too including Seaworld and Legoland Florida. Click here for more on Disney World, Florida. Find out more about the Wizarding World of Harry Potter at Universal Studios by clicking here. New Zealand is a long-haul destination from the UK, but it also ranked high in our dream-destination poll. New Zealand is currently in the public eye as it was the place where the newly-released Lord of the Rings film (The Desolation of Smaug) was filmed, as well as all of the previous films of the franchise. The lush, green rolling hills and the stunning mountainous landscape made it the perfect location to bring Middle Earth and Hobbiton to life on film. You can visit the various film locations on your visit to New Zealand, which are profiled here. Besides exploring the settings for the Hobbit and LOTR series, much of the appeal of New Zealand is to be found in its wide open spaces and rugged outdoor appeal, which could be the perfect setting for walking and hiking or getting closer to the indigenous nature and wildlife. You can also explore the fascinating Maori culture, beyond the terrifying spectacle of the rugby Haka. 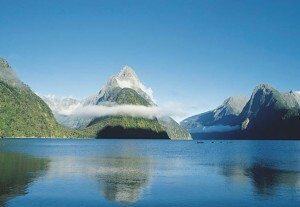 Find out more about what New Zealand has to offer. Australia is another destination downunder and it came joint top in this poll. The Queensland rainforest has recently had a starring and pivotal role in the recent series of I’m a Celebrity Get Me out of Here. Australian wildlife (in the form of shudder-inducingly large spiders, snakes, cockroaches and emus to name but a few) also loomed large (and probably still do in the nightmares of some of the celebrities minds) in the terrifying Bushtucker trials, that were so entertaining for us viewers watching from the comfort of our sofas! Australia is a huge country and boasts a variety of different types of terrain apart from the rainforest, including the vast, dusty expanses of the outback and beautiful sandy beaches. There is also a multitude of travel experiences to take your pick from, including a walk across Sydney Harbour Bridge, a visit to Ayres Rock or a (hopefully!) more pleasurable encounter of your own with Australian wildlife – kangaroos, koalas, or the less-than-cuddly crocodile. Find out more about the multitude of adventures on offer in this booming and successful country here. New York completes our round-up of the top-spots. So revered, it even has its own classic karaoke-staple song about it, New York is the most populous city in America and is an enduring tourist attraction for visitors to the USA. It is a bustling urban metropolis of soaring skyscrapers and iconic landmarks that is famed for its world-class shopping opportunities and the celebrated Broadway theatre shows. The iconic landmarks of the Empire State Building, the Statue of Liberty and the green lung of Central Park are also part and parcel of the city’s unique appeal to those who want to take a bite out of the Big Apple. To find out more about what to see and do in New York, click here. It is interesting to note that regions in India, Australia and New Zealand, have also made the Top 10 in Lonely Planet’s Top Regions for 2014. Several of the people that responded were keen to visit a location with the prime objective of visiting family that have relocated or they haven’t seen for a while, so the destination itself wasn’t really as important as the people that lived there. A few of the respondents were keen to try out an activity whilst away – sky-diving, ice-skating and scuba diving, which could of course, be done anywhere, but the experience would be enhanced by the location selected e.g. ice-skating in Central Park, New York. There were a few unusual locations chosen, that I certainly wasn’t au-fait with, these were The Sandwich Islands, The Cook Islands and Honduras. When I looked them up, they all looked very visit-worthy and idyllic. Another intriguing response was “Kuching in Malaysia, because I’m a cat-person” which made no sense to me – was it a destination that considered cats sacred? Was it a place with a large cat population? Thanks to the magic of Google, I now know that ‘Kuching’ derives from the malay ‘kucing’ for ‘cat and locals refer to it as the “Cat City”. So, perhaps not as feline-orientated as I’d hoped, but if a related question comes up in a Christmas quiz, then I’m in luck! Personally, I think that a trip to any of the places profiled above, would be a fantastic adventure, with so much to recommend each of them, and with each destination special and unique in their own way. I hope that you do find a ticket to one of the destinations of your dreams in your Christmas stocking this year, and if Santa hasn’t stretched to bringing it this year, perhaps your New Year’s Resolution can focus on achieving at least some of your travel wishlist in 2015.